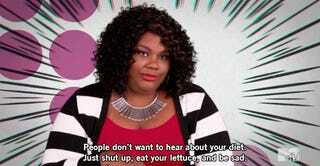 How is it so hard to finish an entire salad and yet you are still hungry .2 seconds after being "done with it"????? Salads, during the shutdown, compounded by the fact that there is no sweet, calming neal conan to navigate us through the mess? LIFE. Why?